This week, I spoke with Sarah Ribner, co-founder of PiperWai, a company that developed as an artisan brand, creating natural deodorant that actually works! In today's conversation, Sarah and I discussed the problem that lead to her and her life long friend and partner, creating the product. We talked through what went into them building their pitch and the research required to not only get featured but negotiate a winning outcome with one of the sharks. Sarah shares how they went from doing 500 units prior to the airing, and experienced an almost immediate back order of over 120,000 units. You've got to hear about the challenges they faced and what they did to help calm the customer service headaches that developed as a result. Describe for us the problem that you and your co-founder Jess Edelstein discovered and walk me through the solution that is today PiperWai? What goes into building a successful pitch? How much research and time did you have to put in to be ready for the ABC pitch? Was 25% your line in the sand and were you prepared to walk [away from Shark Tank] without meeting that mark? What was the biggest challenge you faced after the show? Have you noticed added challenges and hurdles because you're a woman owned company? How has Piper Wai helped or hurt your partnership? Do you have any non-negotiable daily habits that you believe aid in your success? Business partners since their lemonade stand in elementary school, Sarah Ribner co-founded PiperWai Natural Deodorant with her childhood friend, Jess Edelstein. Sarah began her journey with wellness almost a decade ago, as a solution to her skin sensitives, allergies and general lethargy. She transformed her health through clean eating, nontoxic personal care products and dedication to an active fitness regimen. Until three years ago, an effective natural deodorant was the missing piece in her quest to lead a healthy lifestyle. Inspired by her friend’s dedication to clean living, Jess decided she’d had enough of the struggle with harsh, chemical ingredients in typical deodorants that irritated her sensitive skin. So she set out to invent her own formula. To test it out, she shared it with Sarah, who took it on a volunteer trip to South America. It held up trekking through the hot and humid weather, and by the end of her trip, Sarah was a believer. Together, they refined the product, created a PiperWai community, finished a successful crowdfunding campaign through Indiegogo, appeared on Season 7 of Shark Tank, and created a brand that is quickly on its way to becoming a household name! Sarah is a recent graduate of Columbia Business School, and a certified aromatherapist. She currently resides in NYC. I appreciate you visiting our site today and for listening to this episode. If you're listening through the Apple Podcast App, please help us by partnering with us to grow this movement. 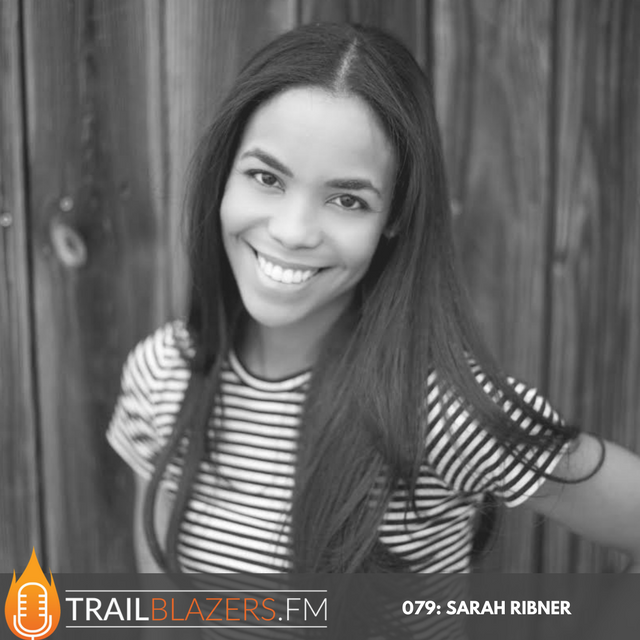 The first step to helping us reach more trailblazers is to leave us a 5 star review for The Trailblazers Podcast! (Please click the link from your cell phone, then click the REVIEWS tab). Ratings, reviews and subscribes are extremely helpful to expanding our reach within the Apple community.